In 1931, in a small Danish town, a gifted baker decided to make his dreams come true… That is where the story of your company begins. How has the Dan Cake brand developed over the years? Today, Dan Cake is a major confectionary manufacturer in Europe. The company has three production facilities: in Give, Denmark; Dhaka, Bangladesh; and Chrzanów, in the Małopolska province of Poland. The latter facility has seven production lines. These are used to manufacture toast, milk rolls, muffins, tartlets, cake bases, sponge cakes, foil cakes and round cakes. A new production line, for yeast cakes, has been completed recently. Dan Cake products are available as private-brand products from most retail chains in Europe and as highly-valued confectionary and bakery products sold under the manufacturer’s own brand. Importantly, Dan Cake has been a family-run business since its beginning. What is it that Dan Cake can be proud of in terms of technology? The company stands out with its policy of investing in modern production technology and developing innovative products. With modern technology in place and with a knowledgeable, enthusiastic and committed team, we are able to deliver top-quality products that are fully safe to consumers. Every year, the production plant renews its ‘high level’ certification to the IFS and BRC quality standards. To stay price-competitive in Poland and intentionally, business operators are optimising their costs by improving their production and logistics processes. What is it like at Dan Cake? Dan Cake employs modern production methods, follows the lean manufacturing philosophy in terms of costs and manufactures its products in large quantities. This helps the company to offer highly competitive prices, while ensuring its products are excellent in taste and quality. 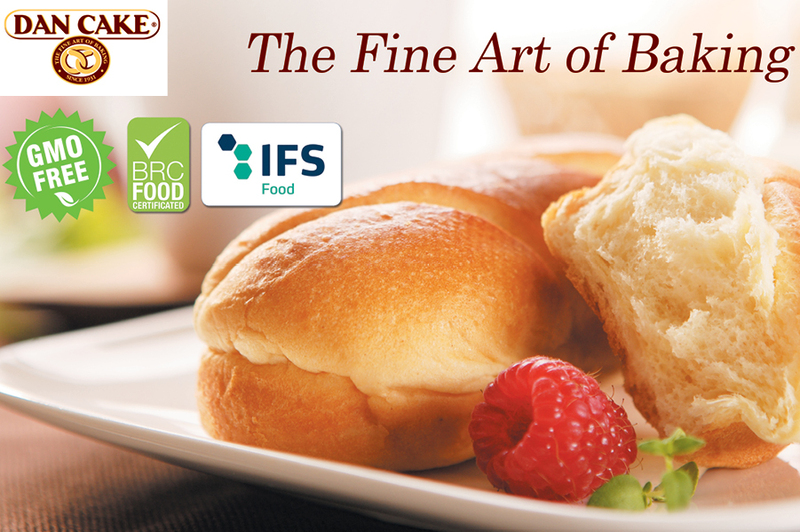 It is possible to make products that stay fresh for a long time and contain no preservatives? Dan Cake Polonia follows the rules of the clean label policy and does not use preservatives in its products and eliminates the use of additives, including artificial flavourings and colouring agents. We only use natural ingredients and traditional recipes. For example, we only use natural leaven to make our toast. What makes Polish bakes and cakes stand out internationally? It’s the taste of our products and, most importantly, their quality. They are appreciated by customers in and outside Poland. We’re doing very well in international markets, supplying our products to retail chains and distributors. We have a flexible approach and understand the reality of the retail business as it is today. Our competitive edge is the experience we have gained over the last 80 years, which means we are better prepared to respond to customers’ needs.